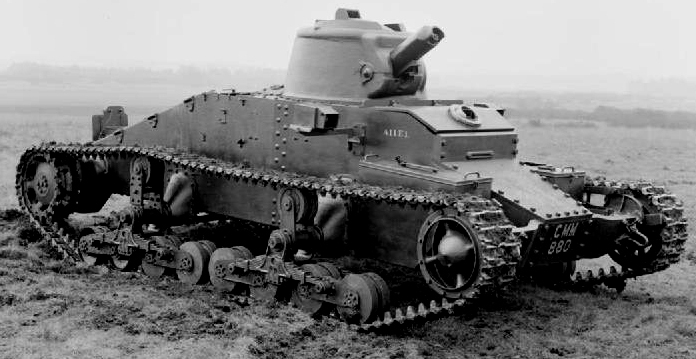 At the time this model was being planned, in 1935, the infantry tank concept was not a new idea. This was the main duty of tanks during WWI, to protect, precede and follow infantry in order to provide close support during an assault on the enemy lines. It was a concept firmly fixed in an attrition, fixed position battlefield. This was the traditional view of the Allies, nearly all officers having fought and learned during WW1. Generally speaking, the infantry tank was viewed as a relatively small, slow (infantry pace) but heavily armored vehicle, designed to cope with enemy machine-gun nests and lightly fortified positions in a defensive line. 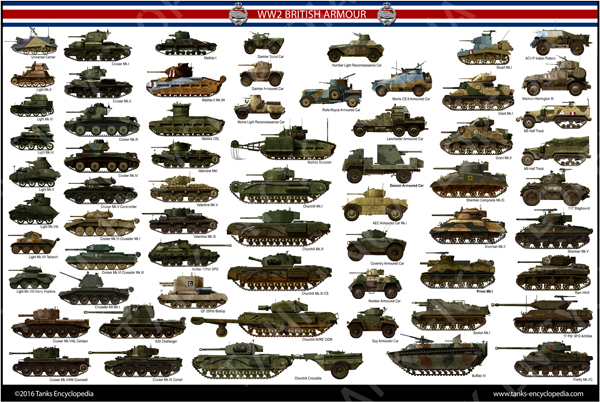 Earlier classifications included light, medium and heavy tanks. The new one adopted the “infantry” and “cruiser” tanks, the latter being fast, more lightly armored, meant to exploit the breakthroughs made in the enemy line. Following this new classification, the General Staff published the first infantry tank specifications (A11) in 1935. The United Kingdom was still getting on its feet after the Gread Depression, a harsh worldwide economic crisis. At that time, the most experienced company in terms of tank design and mass production was Vickers. The company had just enjoyed worldwide success with its the Mark E (or Vickers 6-ton) design. The same team which had worked on the Mark E was put to the task of formulating a response to the desired specifications. These were very limiting, affected by a cost-cut frenzy. The General Staff wanted a relatively small tank built with as many as possible already available commercial components. This was meant to reduce development and manufacturing costs. Vickers quickly presented a prototype which was the perfect answer to this. It was a small, two-man vehicle, equipped with a small one-piece cast turret. It had a straight-cut hull, which was easy to build. Furthermore, it featured cheap mechanical components like the Ford V8 car engine, which was coupled with a Fordson six-speed gearbox. The vehicle had the same steering mechanism as in the Mark E and a sprung bogie suspension system borrowed from the Mark IV Dragon artillery tractor. To save weight, which was required by the feeble engine, no protection was fitted for the main drivetrain. There were two big return rollers and eight rubberless roadwheels on each side of the vehicle. The new design had achieved its main objective and lived up to the specifications. The first order of 60 machines came in April 1937. The vehicle was adopted as the Infantry Tank Mk.I. The production really started at the beginning of 1938. 80 more were ordered in 1938 with war looming ahead. In September 1939, the last Infantry Tank Mk.I was delivered and placed in operational units. By the standards of 1939, the Infantry Tank Mk.I was far from perfect. Although much better armored compared to contemporary German tanks, it was conceived as a pure infantry tank. It was only equipped with a standard issue Vickers watercooled .303 machine-gun (7.7 mm). Later production vehicles received the scaled-up .50 in caliber (12.7 mm) machine-gun. Was it called the Matilda? The Infantry Tank Mk.I is often referred to as the Matilda Mk.I in online and sometimes even written sources. It is said that General Hugh Elles, Master-General of the Ordnance, was reminded of a toy duck named Matilda when seeing the vehicle. This claim cannot be verified. There is a single instance of the vehicle actually being called a Matilda in official documents before 1941. On the 10th of October 1935, Sir John Carden gave the codename Matilda to the A11 project. However, the use of this designation disappeared in all later documents. All the official papers referred to this vehicle as the Infantry Tank Mark I. There is a document, “‘Cabinet Officer Papers 120/354 August 1940 to September 1942: Tank Nomenclature and Classification”, that shows the Infantry Tank Mark I as being named the Matilda after June 1941 and proposing the use of Matilda I instead. It similarly shows the Infantry Tank Mark II being named Matilda, with the proposal to redesignate it as the Matilda II. The two vehicles shared almost nothing from the design or development points of view. They are completely different vehicles. All that can be said is that they share a vague visual resemblance. This article will use the Infantry Tank Mark I designation for the A11. The A12 will be called Matilda. The 140 available Infantry Tank Mk.Is were attached to the 1st Army Brigade sent with the BEF, alongside Matilda tanks. Most of them came from later batches, which differed by minor detailing arrangements of the hull, storage boxes, lights and the machine-gun. These units fought in the north of France and the Belgian frontier, around Arras. They took part both in the defense and the counter-offensive, even discomfiting the 7th Panzerdivision led by Rommel. However, the Matildas proved much more effective than the obsolete Infantry Tank Mk.Is. The last surviving units covered the perilous evacuation of Dunkirk, before being blown up to prevent their capture. Others Infantry Tank Mk.Is, which were stored in Great Britain, served as training tanks until the end of the war. The cramped interior and small turret didn’t help the commander, which had to duck down to use the wireless, and direct the driver at the same time. The vulnerability of the tracks and rollers also proved a major issue which was never solved, although the hull and turret had proved immune to the German Pak 36 antitank gun. By 1939, it was acknowledged that this tank was not suited for its intended role, and already replaced by the much better known “Matilda”. Infantry tank, Mk.I (A11). The first Infantry Tank was completely overshadowed by the Mark II, a completely different model, better known as the Matilda. This designation is often incorectely used as a nickname for the awkward, duck-tail look of the first infantry tank. Infantry Tank Mk.I, 1st Army Tank Brigade, defense of Arras, 15 May 1940. This unit fought against Panzer IIIs and IVs of general Rommel\’s 7th Panzer Division. Many surviving Matildas were left in France, most sabotaged, before and during the evacuation of Dunkirk. The A11E1, the pilot model for the Infantry Tank Mk.I, here on trials. I found an interesting pic of a Matilda 2 in Findon West Sussex during the war. Can’t quite see if they are RTR or not. However the Canadians were stationed here too. Is there an address I can email it to?